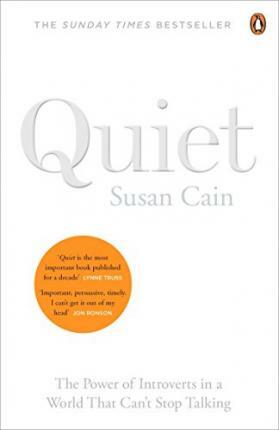 Susan Cain is the author of the Sunday Times and New York Times bestseller Quiet: The Power of Introverts in A World That Can't Stop Talking, which has sold over 2 million copies and been translated into more than 30 languages. Since her 2012 TED talk was posted online it has been viewed over 17 million times. Her writing on introversion and shyness has appeared in the New York Times, the Guardian, Oprah magazine and Psychology Today. Cain has spoken at the Royal Society of Arts, Microsoft and Google, and has appeared on the BBC, CBS and NPR. Her work has been featured on the cover of Time, in the Daily Mail, the FT, the Atlantic, GQ, Grazia, the New Yorker, Wired, Fast Company, Fortune, Forbes, USA Today, the Washington Post, CNN and Slate.com. She is an honours graduate of Princeton and Harvard Law School. She lives in the Hudson River Valley with her husband and two sons.